If California’s Proposition 64 to legalize recreational marijuana passes as expected on Nov. 8, Sonoma County now needs to seriously ask what it will do with all the cash it generates from cannabis cultivation and sales. Because while it may be considered legal on a state basis, marijuana remains a federally classified Schedule I drug, making it illegal for federally regulated banks to accept deposits earned from cannabis. So what’s a Sonoma County pot grower, distributor, edibles manufacturer or investor to do? It’s simple: support the creation of a Public Bank of Santa Rosa, one that is operated and run by the city and whose mission will be to redirect the bank’s credit back into the community through low-interest development projects. A public bank is a win-win: people connected with the cannabis industry won’t have to cart duffel bags filled with cash up and down Highway 101, and county residents will gain from a new source of robust community credit. Just like the county of Sonoma initiated the profitable renewable energy provider Sonoma Clean Power in 2014, the city of Santa Rosa, a charter city, can open a public bank to serve California’s six North Coast counties. It will take the form of an independent organization, managed by bankers and overseen by public officials, and directed to provide commercial banking services for growers and retail businesses in the six counties likely to produce and sell much of the state’s recreational cannabis. There couldn’t be a safer harbor or a more locally productive use for the many millions of dollars the industry is expected to generate. The bank can provide other services, of course, and would have a commercial loan portfolio that would reflect different economic priorities. 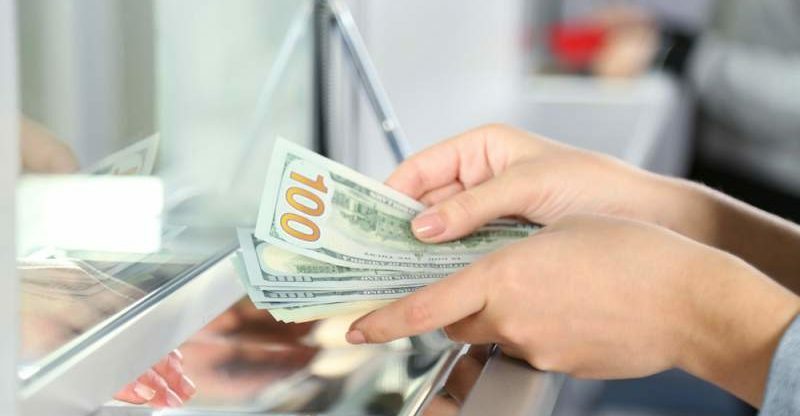 The U.S. Justice and Treasury departments have each issued guidance memos instructing banks how to be compliant with federal law while still accepting money from sales of cannabis. Wall Street banks have been slow to take advantage of this legal loophole. But a publicly-owned institution, safeguarded by public oversight, could effectively adopt the Department of Justice’s (DOJ) guidance procedures to inject a new, powerful financial stream into Sonoma County’s economy. 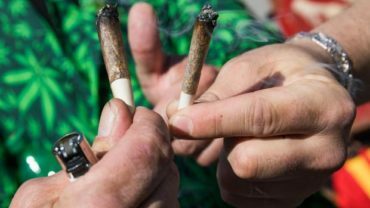 When the Drug Enforcement Administration (DEA) ruled in August to reject downgrading marijuana’s status as a Schedule I drug, it did not act with American communities’ financial interests at heart. The message was clear: You may legally grow and sell pot in your state, but don’t expect Wall Street banks to break federal law by investing your proceeds. Let’s not forget: public banks already exist and play a crucial role in countries worldwide, from Germany to New Zealand. North Dakota, whose population is only somewhat larger than Sonoma County’s, created its own public bank nearly a century ago, with great success. While providing commercial loans in participation with community banks, Bank of North Dakota (BND) serves residents with student loans at 4.36 percent fixed APR (with fees paid for by the bank), infrastructure loans for public works and housing at 2 percent APR for up to 30 years, and bridge emergency loans for natural disasters that provide funding until FEMA reimbursement. While most U.S. banks took a huge hit from the 2008 financial meltdown, BND has been profitable every year since 1972 and has enjoyed record-breaking profits in each of the last 12 years. Marc Armstrong, President Commonomics USA. It’s crucial for the business community to understand that a Public Bank of Santa Rosa would offer limited commercial banking services, and would partner with private local banks through loan participation. Since it isn’t a retail bank, it will avoid many of the Dodd Frank regulations and its operating costs will be significantly reduced. Using software that is fully compliant with DOJ and Treasury Department guidance memos, the bank could monitor a variety of factors (power bills, taxes paid, sales transactions, etc.) and report any aberrations through a series of alerts. There would be no conflict of interest between a public bank and the rules as they are currently enforced by federal banking authorities. Absent any rescheduling of marijuana by the DEA, a Public Bank of Santa Rosa is the only way that local growers and cannabis businesses can be effectively served by the banking industry. At the same time that it grows the sales tax base, a public bank would protect, and help expand, the newly legalized industry by providing a select set of commercial banking services. So, starting on Nov. 9, it’s up to local government officials to step up to the plate and figure out how to effectively create this safe harbor for money generated from cannabis sales. Your city council has the power to effectively address this issue. Call or write to them and let them know that establishing a public bank makes a lot of sense. The people have been way out in front of the politicians — especially federal politicians — on this matter. It’s time to encourage them to catch up. The Friends of Public Banking will host a “Cannabis Cash & Public Banking” event at Odd Fellows Hall on Wednesday, Nov. 9, 5:30–8 p.m. Speakers include Omar Figueroa, Ellen Brown and Marc Armstrong. More information at www.publicbanking.org. Marc Armstrong (707-343-6334) is co-founder of the Public Banking Institute and president of Commonomics USA, a Sonoma-based educational nonprofit.